If anyone can understand a kid's qualms about food, it would be me. Terrified of mushrooms and partial to creating a hot dog/Kraft macaroni and cheese mutant, I was a very picky eater. 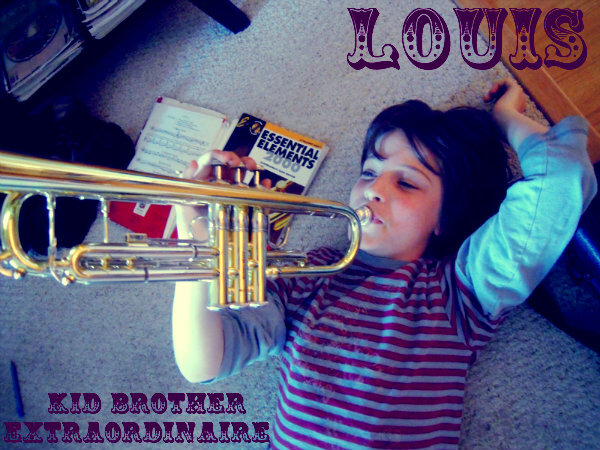 My little brother Louis, out-of-this-world trumpet player and sarcasm whiz, is obviously following in my footsteps. To save him from an all-day Jazz and Blues festival our dad goes to every year, we spent a Sunday lounging in his Playa del Rey apartment utilizing his flat screen, blu-ray player (him) and spacious kitchen (me). Since Louis and I are twelve years apart (11, 23), I often find myself lamenting his lack of movie education. After suffering through The Diary of a Wimpy Kid II at his request and his required trumpet practice, I informed the snarky pre-teen that we were going to watch a classic from my childhood: The Fifth Element. As Louis marveled in the special effects ("How can this movie be fifteen years old?!") and sat entranced by the comic stylings of a young and trim Bruce Willis, I set to work on his dinner. 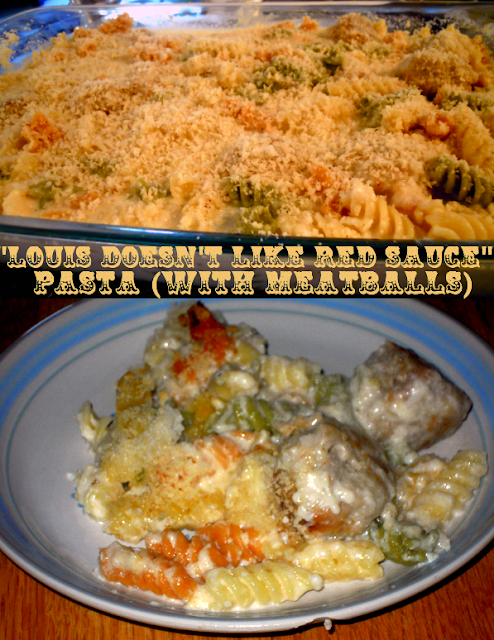 Louis doesn't like red sauce. He does, however, love pasta and meatballs. This made for an intriguing culinary attempt as I decided to make a dish borrowed from one of my favorite food bloggers, Smitten Kitchen. With her help, I finally conquered the beschamel sauce. Heating up the milk before you add it to your flour/butter mixture makes a HUGE difference. I chose to add more Parmesan, as Louis requested "extra-cheesy", and enlarged the meatballs accordingly. 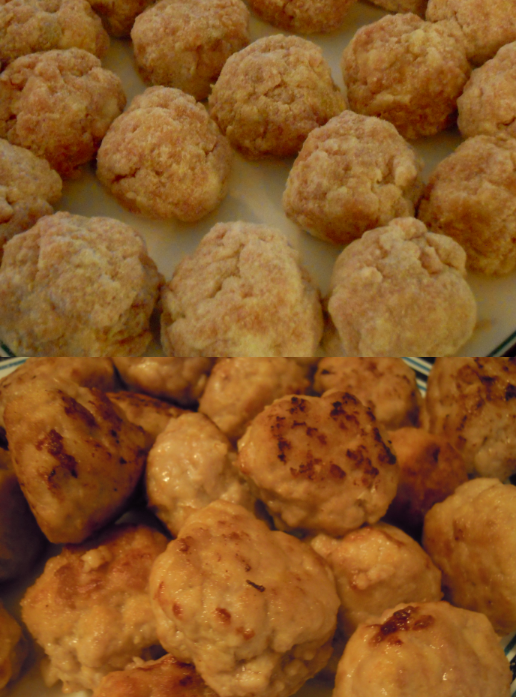 The result was glorious, a creamy-tangy sauce and tender, moist meatballs. I left some for my dad and ended up inhaling my own leftovers after a particularly drunken night at a pub. Delicious for kids, twenty-somethings and parents, this strange twist on a classic can't be beat! If for some reason you can't tolerate the idea of pasta and meatballs without red sauce, try this simple marinara. Heat oil in large saucepan (with lid) over medium-high heat until just barely boiling. Add the onion and cook until translucent. Add garlic and cook for about 30 seconds more. Add tomato paste, chopped tomatoes, bay leaf, red pepper flakes and salt and pepper. Bring mixture to a boil and then reduce heat to low. Cover and simmer for 30-45 minutes to really marinate the flavors. Pour over prepared pasta, and continue to follow the baking directions!